It’s too late to go back to bed, and too early to start drinking – so you’ll need a ‘Plan C’. Thankfully there’s plenty of off-piste fun to be had in this central North Island town. Here are seven of our favourites. There are lots of bushwalks to suit all ages and stages. 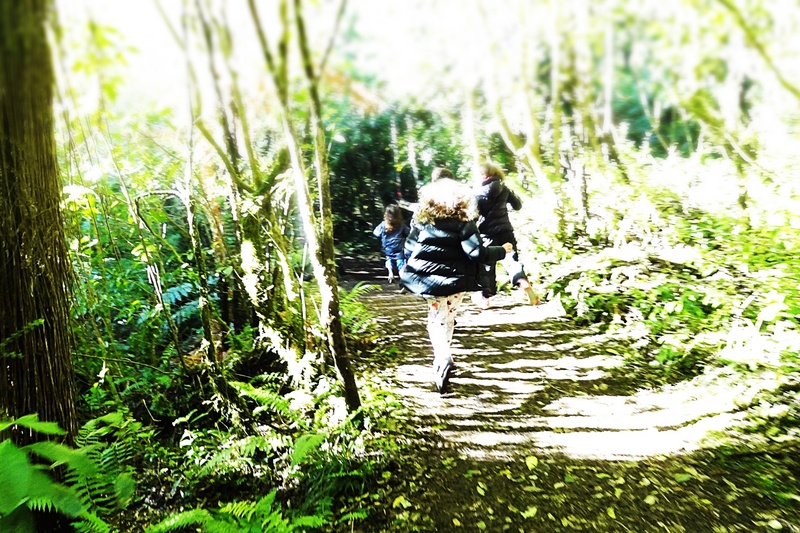 Walk it off: there are plenty of bush walks around Ohakune to suit every age, stage and patience level. The Jubilee walkway is ideal for younger kids – it’s flat and never too far from shelter (café or bar). There’s also a nice flat amble through the domain to the Ohakune carrot for the obligatory family selfie. For the more sturdy, the Mangawhero River Walkway is picturesque and has the feeling of being in the bush, despite never being far from the mountain road. If you’re up for more of a challenge, then the alpine track to Lake Surprise and the Old Blyth Track might be for you. Check this website out for more information about walks in the area. Hire Mountain Bikes: Ohakune is fast becoming a mountain biking destination. There are lots of tracks – from beginner to more challenging – in and around the region. There are lots of places in town that hire bikes of all types which you can rent by the hour for a sedate peddle around town with the kids. Most of them also offer transport to and from the start/finish points of some of the more serious mountain biking tracks. Go to Mangetepopo: It’s a bit further round the mountain, but about 40 minutes in to the Tongariro Crossing is the Mangetepopo Hut. It’s at the start of the Tongariro Crossing, and the hut is close enough that you can get there before the grizzling starts, but far enough for a good walk. The hut is basic, but a great stop for lunch or morning tea. If the kids are up to it you can always walk them a bit further up the valley to Soda Springs. Go Tobogganing: often if the slopes are closed you can still head up the mountain for a spot of tobogganing – either at the ski field or on a slope of your choice somewhere on the mountain road. For indoor entertainment, try Clip & Climb. 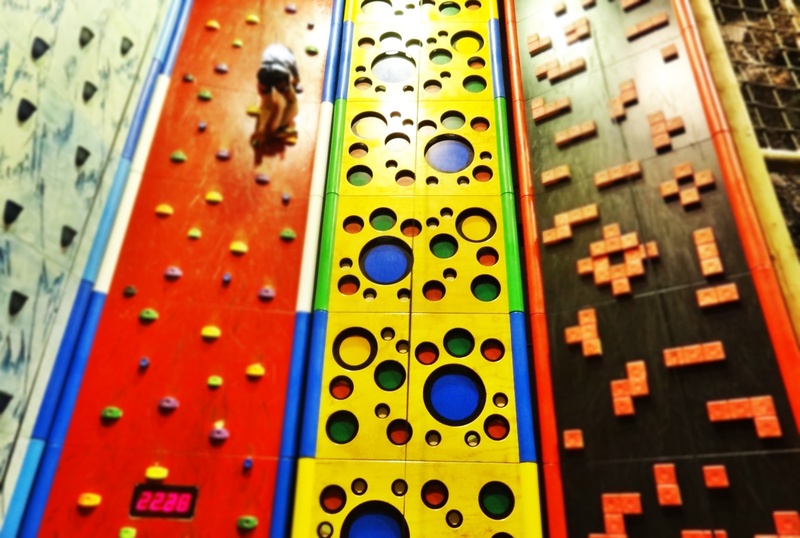 Clip & Climb: the Ohakune branch of Clip and Climb is small, but packed full of challenging climbs for adults and kids alike. It can get busy on a wet day, so phone ahead to book. Prices are also cheaper after 5pm. Visit Waiouru Army Museum: Just a short drive (27km) from Ohakune, the museum is a great place to while away a few hours on a cold and miserable day and if you have boys I can guarantee they’ll love it. There’s a café you can base yourself in while the kids explore. Visit their website for prices and opening times. Go for Lunch: head to The Cyprus Tree for lunch. They have a good, affordable menu for adults and kids alike and a play room stuffed full of toys to keep the kids entertained, as well as table soccer on the back porch. The best spot is on the couches by the huge open fire. Try not to get a table by the back doors – the constant toing and froing of kids running between the table soccer and the playroom will drive you demented and mean you spend the whole time either sitting in a draft or nagging children to shut the door behind them. There are plenty of things to keep the kids entertained add some fun to a day off the slopes.